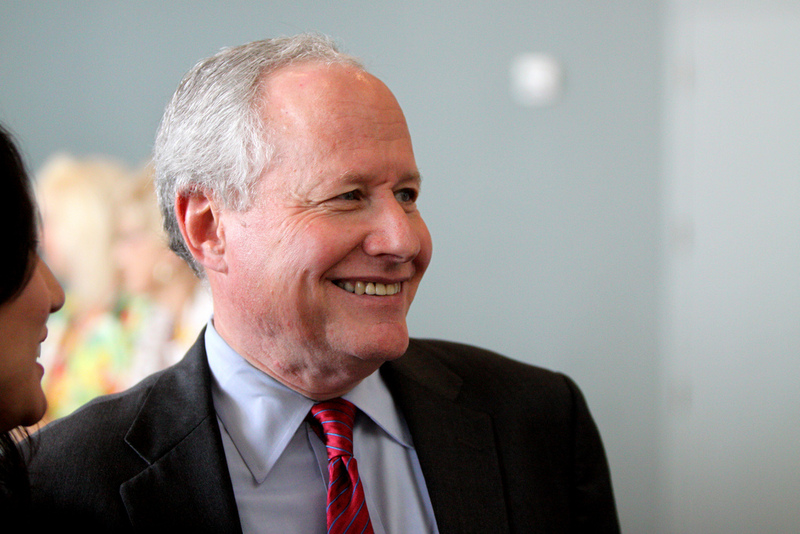 Prominent neoconservatives, led by Bill Kristol, have played leading roles in trying to block Trump’s nomination or repeal it somehow. They’ve lined up fellow-neocons to sign letters opposing his election and/or declining to serve under him should he actually make it to the White House. Some, albeit a relatively small minority so far, have gone so far as to publicly endorse Hillary for president, if only as the lesser evil. Among the most outspoken in the latter group are Bob Kagan, Max Boot, Bret Stephens, and Eliot Cohen. Indeed, it’s very difficult to find a neocon at the moment who publicly supports the Republican candidate. As I wrote previously, the reasons are many: fear of “America First” isolationism and all it implies for U.S. foreign policy and alliances; the bromance with Putin; the crudest kinds of nativism, racism, and misogyny expressed at his rallies (and the fear that anti-Semitism can’t be far behind); authoritarian tendencies (to say the least); shocking ignorance; lack of self-restraint; hyper-narcissism—all valid points with which I can’t find much fault. But what disturbs me is the refusal—even among those who say they’ll vote for Hillary—to admit their own contribution to the rise of Trump and Trumpism. Their attitude recalls what happened after the Iraq War went south. With a few exceptions, neocons denied that they anything to do with getting us into the greatest U.S. foreign policy debacle since at least the Vietnam War. Or they maintained that the invasion was still a great idea, but the occupation (for which they also insisted they bore no responsibility) was botched. Or they argued that the “surge,” which they also promoted, was a total success, but the Obama administration subsequently blew it. As with Iraq, neocons have so far refused to take any responsibility for helping create the environment in which Trump’s rise has been made possible. During the Reagan years, the G.O.P. briefly became known as the “party of ideas,” because it harvested so effectively the intellectual labor of conservative think tanks like the American Enterprise Institute and the Heritage Foundation and publications like The Wall Street Journal editorial page and Commentary. Scholarly policy makers like George P. Shultz, Jeane J. Kirkpatrick and Bill Bennett held prominent posts in the Reagan administration, a tradition that continued into the George W. Bush administration — amply stocked with the likes of Paul D. Wolfowitz, John J. Dilulio Jr. and Condoleezza Rice. In recent years, however, the Republicans’ relationship to the realm of ideas has become more and more attenuated as talk-radio hosts and television personalities have taken over the role of defining the conservative movement that once belonged to thinkers like Irving Kristol, Norman Podhoretz and George F. Will. The Tea Party represented a populist revolt against what its activists saw as out-of-touch Republican elites in Washington. Even if we can avoid the calamity of a Trump presidency, however, the G.O.P. still has a lot of soul-searching to do. Mr. Trump is as much a symptom as a cause of the party’s anti-intellectual drift. The party needs to rethink its growing anti-intellectual bias and its reflexive aversion to elites. Catering to populist anger with extremist proposals that are certain to fail is not a viable strategy for political success. So, the responsibility, according to Boot, for the rise of Trump and Trumpism lies with the Tea Party and “talk-radio hosts and television personalities” and not with those “conservative think tanks” like AEI and Heritage or publications like the Journal’s editorial writers and Commentary. It presumably has nothing to do with Boot’s fellow neocons for whom “soul-searching” might also be in order.
. . . The venom aimed at Donald Trump by the Republican establishment and their media allies is not necessarily one of antagonism to his policies, but a venom pitted against Trump for visibly destroying what they had been working so tirelessly to build since the days of the New Deal—a remodeled, civil, and polite conservatism that hid its more crass and insular elements while promoting a policy-oriented politics. Far from being out of place, or even “destroying” the conservative movement, Donald Trump has channeled the suspicions of conservatives who had been ostracized by Republican modernizers for the last 80 years. Trump has exposed the Republican establishment as nothing more than a new makeover in an old face—and that is why they hate him. . .
. . . The engine of popular rage fomented by Palin in 2008, exploited by Romney in 2012 and repeated around the clock on Fox News and AM talk radio, has propelled most GOP voters into the frigid, knowing embrace of Donald Trump today – not in protest of the GOP’s recent history of political demagoguery, but because of it. The rise of Trump isn’t a backlash to Republican establishment politics; it’s the natural extension of it. Even the filibuster-happy theatrics of Trump’s presidential opponents, specifically Ted Cruz and Rand Paul, helped provide Republican voters a syllabus of reasons to enlist in Trump’s army of brainwashed middle-aged white people. . .